AM Labels Limited (AML), the labelling, barcoding and software solution specialist based in Northamptonshire, is exhibiting at the Packaging Innovations, Empack and Label & Print 2019 on the 27th and 28th February, on stand G19. AM Labels Limited is exhibiting and demonstrating two new models from OKI Europe, the Pro1040 (CYMK) four colour printer and the Pro1050 (CMYKW) five colour label printer with the dramatic offering of white print. The new OKI Pro Series Label range features professional four and five colour label development in label printing technology with the advantage of printing on a wider range of media, on a variety of substrates including clear, opaque, white or coloured. 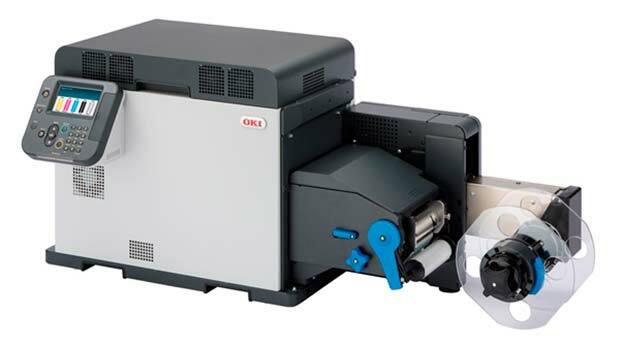 In addition, the pioneering digital LED technology, developed by OKI Europe, makes the printers compact, environmentally friendly, energy efficient and exceedingly reliable. Brendon Bass, Sales and Marketing Manager, AM Labels Limited says: “We look forward to welcoming all our customers, old and new, and all those interested in creative label printing. “These two models represent a new era in flexible label printing and will add tremendous impact to any label as well as being extremely versatile and professional. There are many other products and brands on display on the stand including products from Epson, Zebra and the Stand Alone label printing system from AM Labels Limited with a Honeywell printer. AML has extensive experience in label printing, as well as the advantage of an in-house label manufacturing and production facility. The company is able to supply the very best quality label materials to satisfy all customers’ labelling requirements.